Soccer football. - The Hebrew Standard of Australasia, Sydney, 20 May 1932, p. 7. Another Maccabean victory. - The Hebrew Standard of Australasia, Sydney, 20 July 1934, p. 2. Army friends now prisoners. - Daily Telegraph, Sydney, 18 October 1941, p. 2. 'Santa' for war prisoners. - Daily Telegraph, Sydney, 18 December 1943, p. 6. With the forces. - Daily Advertiser, Wagga Wagga, 20 September 1944, p. 2. Judge slates woman for bigamous marriage with younger soldier. 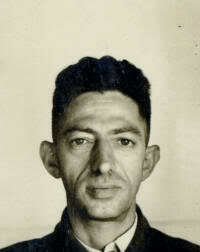 - Truth, Sydney, 26 November 1944, p. 13. 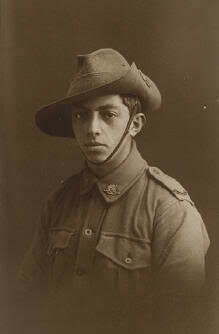 Only a few, the youngest of them, managed to see active service with the 2nd AIF abroad. 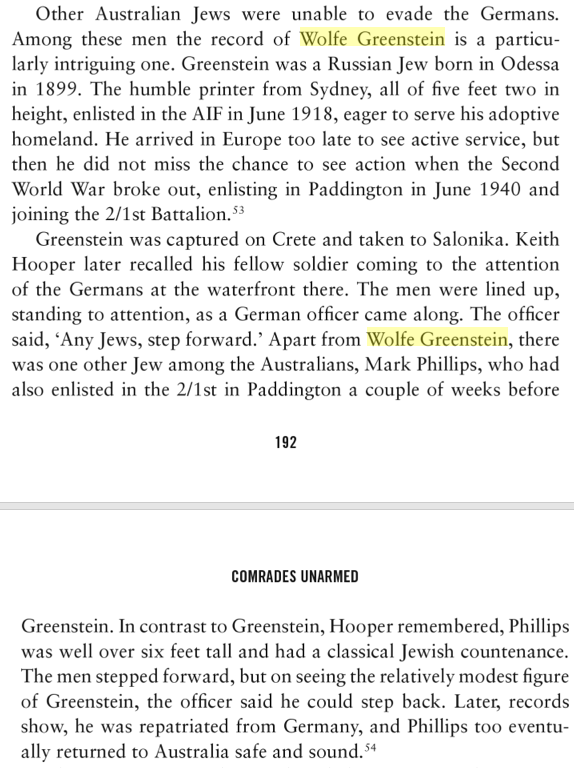 Wolfe Greenstein was captured on Crete but lived to tell the tale.